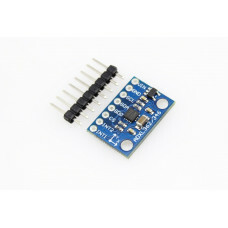 Accelerometer Triple Axis Breakout MMA7361 is a breakout board for Freescale's MMA7361L three-axis analog accelerometer. 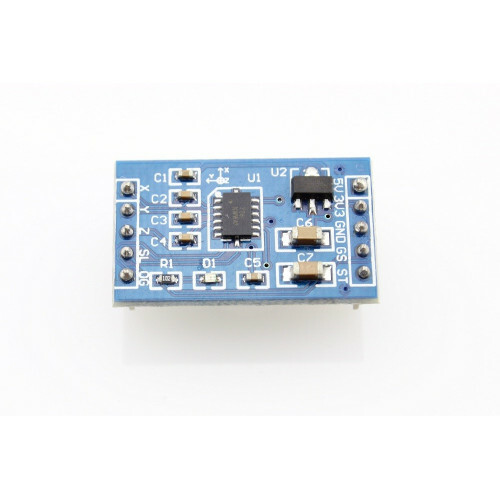 The Accelerometer Triple Axis Breakout MMA7361 requires a very low amount of power and has a g-select input which switches the accelerometer between ±1.5g and ±6g measurement ranges. 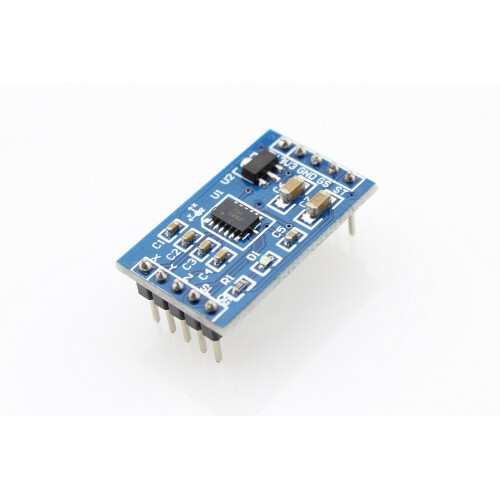 Other features include a sleep mode, signal conditioning, a 1-pole low pass filter, temperature compensation, self test, and 0g-detect which detects linear free fall. 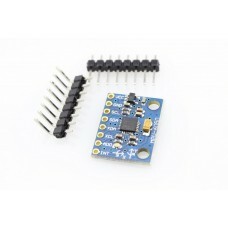 Zero-g offset and sensitivity are factory set and require no external devices. 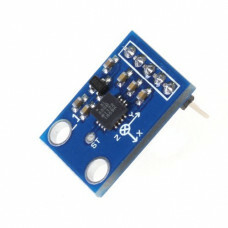 The module is a simple breakout board that enables easy connection of an ADXL346 into an existing ..
FLORA Accelerometer Compass Sensor LSM303 v1.0. 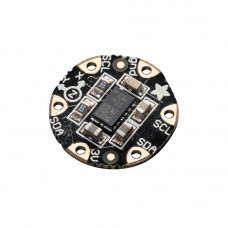 Add motion and direction sensing to your wearable FL..
We've now got a wider range version of favorite triple-axis accelerometer - it even has an on-board .. 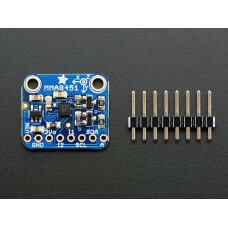 So many accelerometers and so little time! 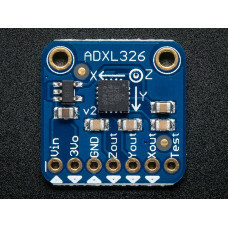 We've expanded our accelerometer selection even more with..
We've updated our favorite triple-axis accelerometer to now have an on-board 3.3V regulator - making..